taken from Jason Momoa's Instagram. Well, it has been a month. My writing challenge started back in March. I had written so sporadically in the past year that I made blogging a daily goal in March and I didn't miss a day. In April, my challenge changed. I have never really written a whole lot of fiction, so I thought I'd try that for the next thirty days. Since I've been reading a plethora of romance books, I figured why not try that genre. I had no idea where the challenge would go, how successful I'd be, or not, and thirty days later, here we are. I've learned a lot over this month. One, I can find time to write. I've written at track meets, in the car on the way to track meets, late at night, early in the morning, I've squeezed in the time. If I miss a day, it doesn't derail me. Our schedules have been insane this month. Typically we've averaged four track meets per week, which we usually go to from around 4 until 9. Liam has had a band concert or event once a week for the past four weeks. It has been crazy, but I've written. I wrote a note by my computer, no excuses. It has helped. Two, I need to take notes. Some people who write fiction can just write and remember everything as they go. I need notes. I finally got organized this weekend and went back and reread everything I've written, taking notes on what I've written about characters, locations, timeline, etc. It helped a ton. Three, I need inspiration. I can't just dream up a character from scratch. I used actors to start, but gave them their own personality. Locations were based on places I knew, but then tweaked to become what I wanted them to be. Real life trickled into my writing, but then morphed into something else. Four, writing fiction is fun. I like to write, and non-fiction is pretty easy for me, but I enjoyed writing fiction. I want to write each day to see what my characters will do next. I have an inkling where I think this is going, but there have already been twists along the way and each one has surprised me. Five, I'm not stopping yet. As of today, after thirty days of writing, I've written 21,855 words. I kept track of my time and word count each day. Low word count days weren't bad, just what I needed on those days. Each day made me look forward to the next, which was a fabulous feeling. 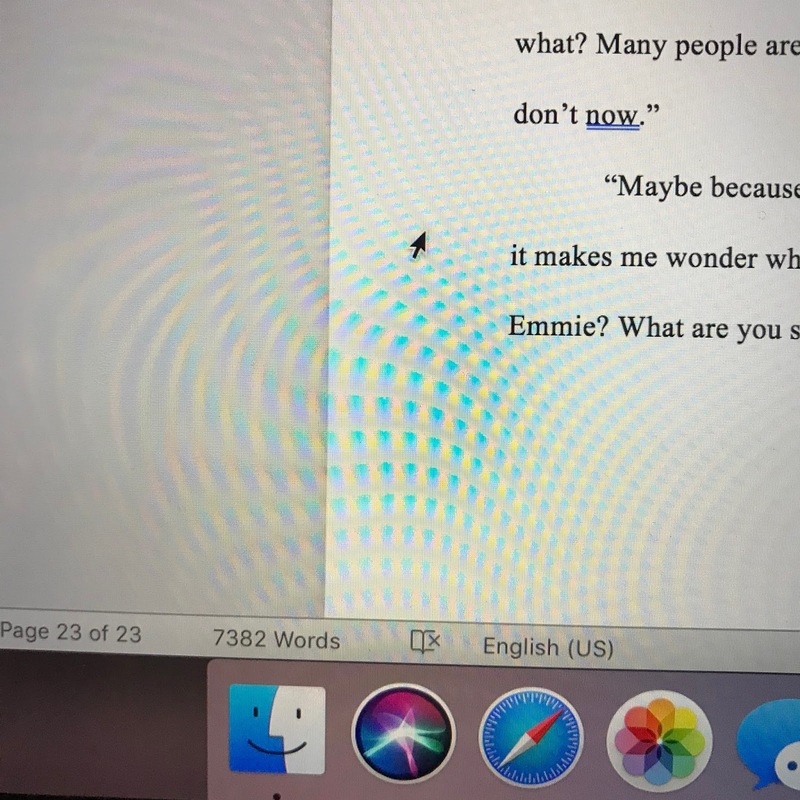 While almost 22,000 words is a lot, the average romance book averages around 80,000-90,000 words, so I have a ways to go. I have no idea if this "book" will only be read by me, or if I will decide to one day share it. I know that my inner editor, Helga, likes to still tell me my writing is crap, but I'm better at ignoring her. This journey I'm on is what it is, and I can't wait to see where it goes from here. 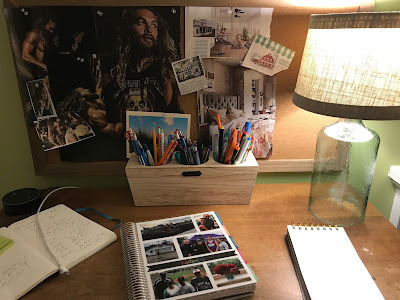 So for May, and beyond, my writing challenge is simply to keep going. I do know that the longer I sit to write, the easier it is. Because of our schedules, most nights I only had 30 minutes. But when I can write longer, it is so much better. For that reason alone, I'm ready for summer. I'm excited to see what Max and Emma get up to next. 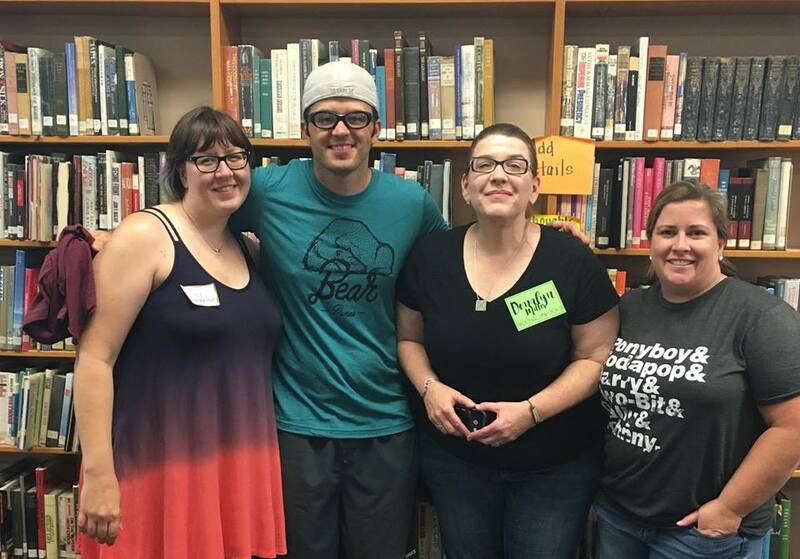 the Nerdy Book Club crew. The other day I saw a former student in the local grocery store. He introduced me to his aunt as his former teacher. Her first comment was, "Ahh, teaching. I wish I had gone into that like I planned. Summers off with nothing to do must be nice." In twenty plus years of teaching, I've heard this refrain so many times. And yet, my summers - like most teachers - are never truly "off". Even in my first years of teaching, my mom trained me to pick one subject to study over the summer, to improve on. Each year I'd find a new one, read as much as I could, and start the new year determined to be better than I was the previous year. Several years passed and I found myself with a plethora of workshops I could choose to attend in the summer. While I typically paid my own way to these conferences, the advantage of not having to create sub plans while I went off to learn was a huge draw. This summer I've already begun planning. 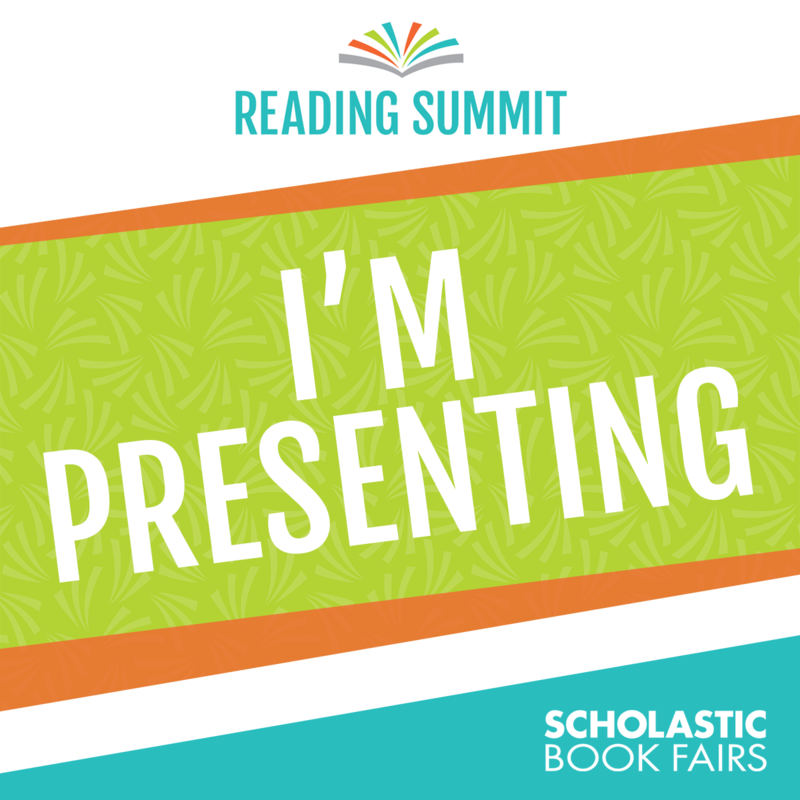 I know I will be speaking at the Scholastic Summit in Chicago on Thursday, June 21st. 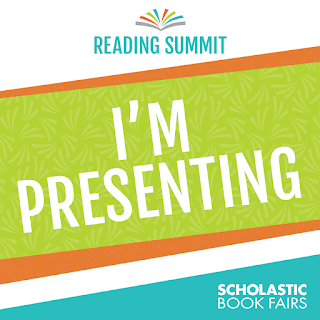 This is my third year at the Summit and I'm constantly amazed at what a wonderful day of PD Scholastic pulls together. If you'd like to see if there will be a Summit in your area, you can check HERE. 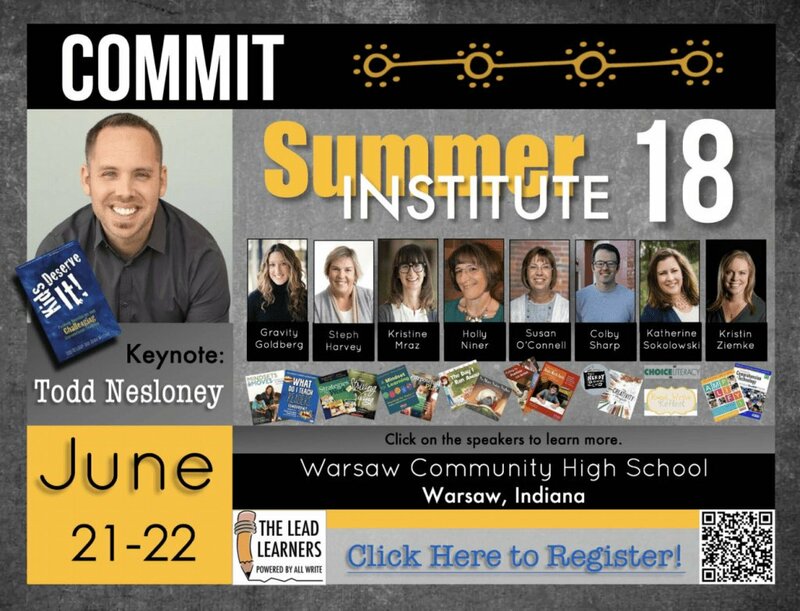 I'm also thrilled to be presenting at the Summer Institute in Warsaw, Indiana on Friday, June 22nd. I began attending this conference years ago when it was called All Write. It brings back memories of friends, amazing presenters, and lots of learning packed into just a few days. I simply cannot wait. If you want to attend Summer Institute, register HERE. While I won't be attending this year, my oldest son will be turning sixteen, NerdCamp MI is one of the best conferences around. The conference is FREE. Yep, free. Two days of connections with colleagues, authors, and illustrators from all over. Register HERE. Finally, I'll be learning at home. 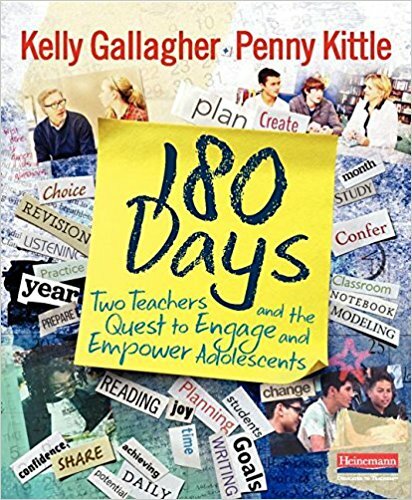 A few colleagues from my building are diving into Kelly Gallagher and Penny Kittle's new book, 180 Days: Two Teachers and the Quest to Engage and Empower Adolescents. 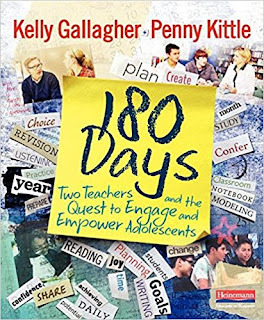 I can't wait to read this with them over the summer days, discuss what we think we can apply in our classrooms, and grow as a learner. How about you? Do you have a plan for your learning this summer? Please share! 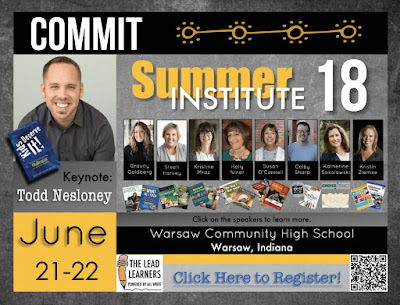 And if you will be at Summer Institute or Scholastic's Chicago Summit, I hope to see you there. 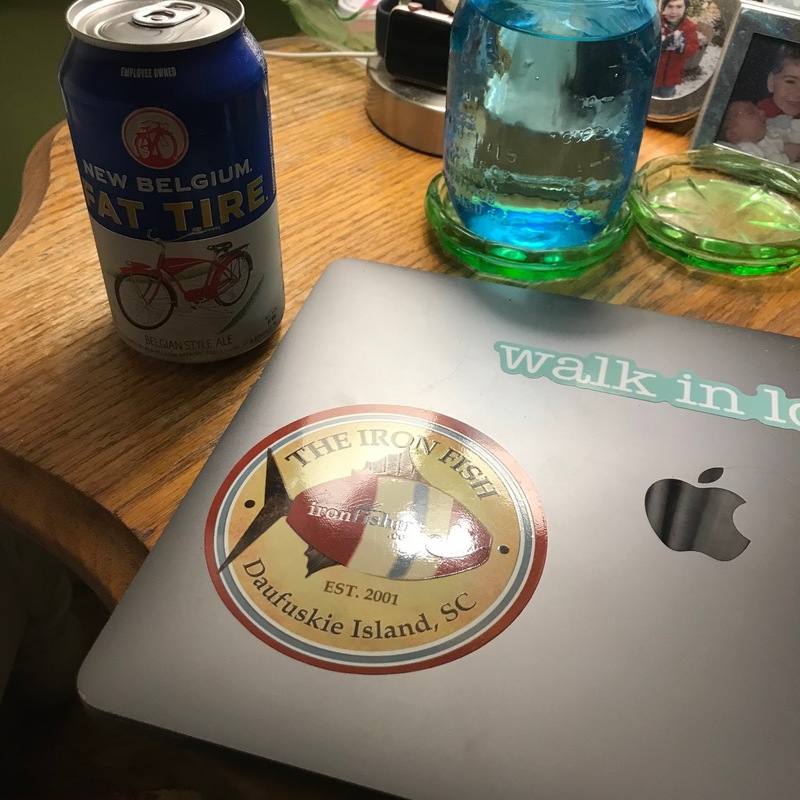 So a week ago I wrapped up my March writing challenge, a blog post a day. I made it for all thirty-one days, even though there were many days that I really want to skip. I wondered why I had made the challenge in the first place. I wondered if anyone would even notice if I didn't write. I can't stick to a diet for anything, yet give me a writing challenge and I become a woman on a mission. Whatever. At any rate, as I wrote last weekend, I talked to my friend Cindy last Saturday and said I was trying to figure out what to write for April. I confided that I wondered about trying fiction, maybe even something like a romance book since she and I were constantly reading new ones and discussing them. It wouldn't be that hard, right? Cut to Cindy looking up the average length of a romance novel...80,000-90,000 words. But I decided to dive in. I put up some photos on a bulletin board in my bedroom, inspiration for my novel. My husband raised his eyebrow at me. I asked him who wouldn't want to look at Jason Momoa on a daily basis. I cleared a desk off, organized the reading nook in my bedroom, lamented that I couldn't buy an overstuffed chair that would be perfect to sit in to write. Glanced down at my yoga mat, reflected on the last time I'd actually been to a yoga class, and realized I was already off track. At that point I made a plan to check in with Cindy each day and share if I wrote for at least thirty minutes and what my current word count was. On Sunday, I sat down to write. Holy hell, it was hard. I had an idea for my male protagonist, inspired by Jason Momoa. I named him Max. The female was a struggle, but then Stana Katic popped in my brain. I think she's gorgeous, so I christened her Emma. Where did they live? How did they know each other? I started typing. Seven days in, I haven't missed a day. 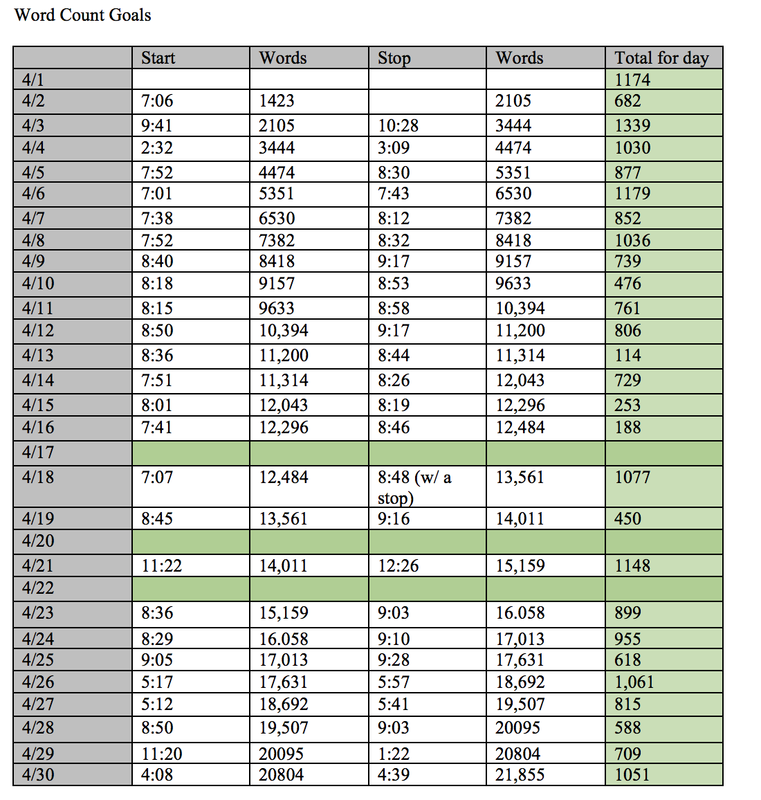 I've roughly averaged a thousand words a day. I'm completely out of my element, have to tell my inner editor to shut up on a regular basis, and having a blast. Today I decided that maybe my inner editor's name is Helga and she truly is evil. Tonight's writing required a Fat Tire. Writing a romance book is a trip. I tend to curse a lot in real life and in this? I let it fly. Haven't written any "romance" scenes yet. I might have to have several glasses of wine to get that accomplished, but I don't think I've laughed more when I've written than I have on this project. I love Max, I love Emma. I love Emma's friend Maggie even more, I wish she was real. I'd absolutely want to hang out with her. As I write I'm falling more in love with writing, which is unexpected. I don't think I'm good at it necessarily but I enjoy doing it. I like trying something that feels like a challenge, like I'm working my brain in a new way. My students know that I'm trying this challenge in April, and that they won't be able to read it, but they ask how it's going each day. They are certainly good cheerleaders and I can't wait to see where I am at the end of the month, if only so I can share with them that I did it. Seven days in, twenty-three to go. I can't wait to see where Max and Emma take me next.